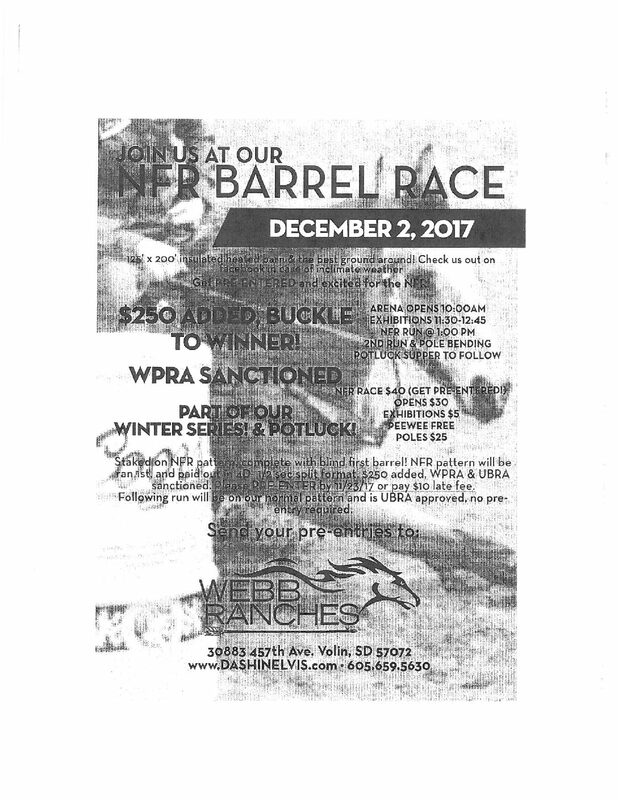 The Webb Ranches NFR Barrel Race will be held on Sunday, December 2nd, 2018 in Volin, South Dakota. This Volin rodeo is held at Webb Ranches. NFR Pattern 4D Race with $250.00 added.